Fun gift ideas for knitters. 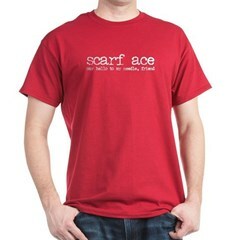 Knitting-themed t-shirts & yarn-lover apparel and gifts. Funny knitting puns, graphic knitter's t-shirts and more great stuff for spinners, yarn collectors and knitters! This is a cute design for yarn lovers! 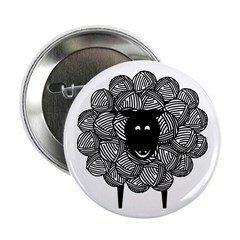 A the wool of this woolly black sheep is made up of balls of yarn! A cute gift idea for yarn lovers and knitters! For the times when you'd rather be working with yarn - this is the right design ! A Corrie Kuipers Original. 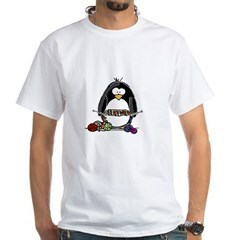 Show off your fabulous knitting lover self with a unique JGoode penguin. 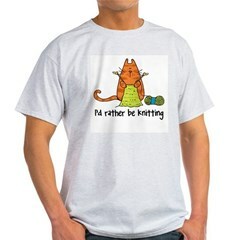 Choose from Knitting bags, t-shirts, hoodies and more. Great gifts for people who love penguins and knitting. Are you a Knit-A-Holic? 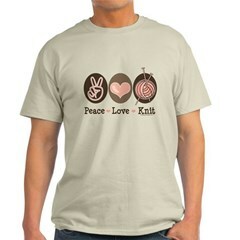 Fun knitting design with a twist on one of our T-shirts, apparel or gift items. PinkInkArt original! This design arose from a bizarre comment made to me during a bus ride from Indianapolis to Chicago. You can read about it here . 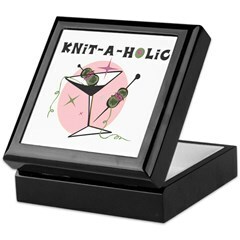 Designed for knitters on the edge, who know how to wield a pair of needles. This cute cartoon knitting design reads the Village Knittiot. This original graphic design is perfect for anyone who is crazy about knitting! This original design for knitters has several knitting needles and two balls of yarn along with the funny phrase This is How I Roll. A familiar-sounding Latin phrase with a fun knitter's twist! Veni. Vidi. Knitti. I Came. I Saw. I Knitted. 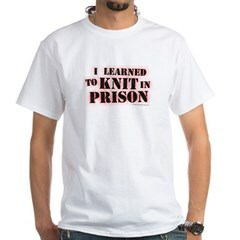 A fun original knitting t-shirt design for any knitter! This BusyBodies knitting stick figure makes a great gift for people who like to knit!